Even though we no longer live in Philly, and it's a little under and hour away, we definitely still consider Philly "local" and I feel like it will always feel like another home when we're there. We try to take my best friends kids there every year or two for a little fun and since they're whole family is moving to Haiti this summer we decided to pack our day full this year. We had so much fun, and it got me thinking of all the great places in Philly I love, and thought I'd share some of my favorites! Top of City Hall- this is so much fun! You can literally stand right underneath giant William Penn and see the entire city. 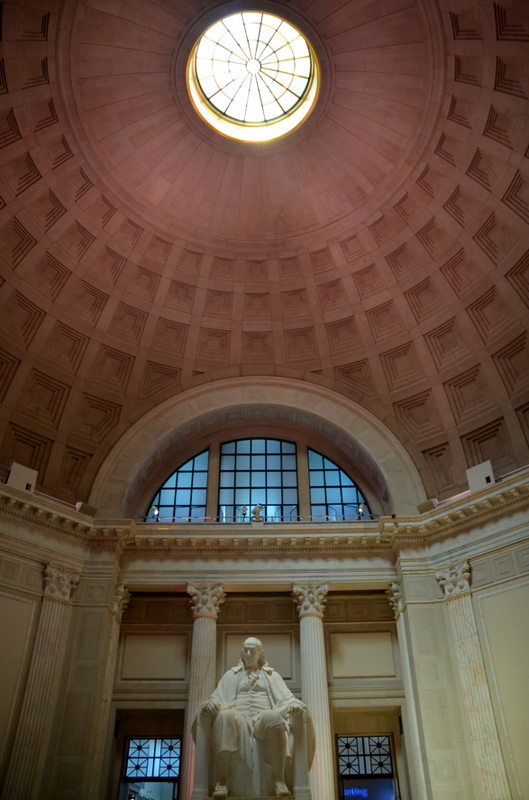 Philadelphia Museum of Art - One of my favorite places, I could just wander around all day. The Franklin Institute- My husband's favorite! Also, the kids too. Even if you're not huge into science stuff it's really fun and interesting. Franklin Square- It may not be as big or famous as Rittenhouse and Washington Square (both lovely parks, by the way) but it's my favorite. 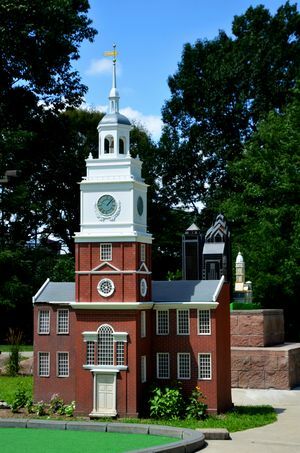 Not only is it just plain adorable, but you can sit at one of the tables by the fountain and munch on some Square Burger, putt at the miniature Philly mini golf, and there's a gorgeous carousel too. And it's just a short walk from the National Constitution Center too! Honey's Sit and Eat - We just recently started coming here on mornings we're in the city, but it's easily our favorite place for breakfast now! Lacroix at the Rittenhouse - My favorite for a super-fancy splurge dinner. You look right over the park, and all the food is amazing. Of course, my husband's more fond of Smith & Wollensky, which is just downstairs - both are great though, it's just a matter of preference. Elixr - So glad my friend introduced me to this place! It's right around the corner from the Starbucks that's close to Rittenhouse Square, so it's nice to have an alternative that is way better then the same old Starbucks. Favorite place to shop... Old City! It's our old neighborhood, so I'm biased, but there are a ton of adorable little shops. Rittenhouse area and Broad street are good if you want the fancy big stores, but Old city is all local-owned stores, and they're all really different and adorable. Most of them are on 3rd street but there's also a few on 2nd and also Market. Favorite place to people watch... Rittenhouse Square takes the cake for that one. Last time I was there there was a man slopping paint on another mans back while he layed on the sidewalk, he then proceeded to tell all the passersby that it was his masterpiece. There's plenty of interesting people to be had! If you've been before or are local I'd love to hear your favorites!